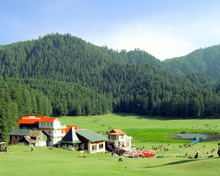 With its ancient culture, colonial charm and the Himalayas as a backdrop, the northern Indian state of Himachal Pradesh is a paradisiacal landscape of unaffected villages and terraced hillsides. Whether you're biking, trekking, or exploring the countryside, sampling this simple lifestyle is undoubtedly one of the greatest pleasures while making a trip to this tiny Himalayan state. Referred to as Devbhumi, "Land of the Gods," Himachal Pradesh has long beckoned to tourists who do journey to the state visiting the centuries old temples and seeking spiritual guidance from Buddhist lamas. 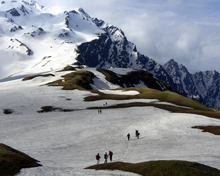 Today, Himachal Pradesh is a popular adventure-travel destination for both the backpacker and the intrepid explorers who come to the state to avail themselves of the endless opportunities for diving, snorkelling and fishing. Tourists weary of daunting metropolises will find that the cities of Himachal Pradesh are small-scale and more relaxed than elsewhere.